Serving Divorce Clients and Their Attorneys in Cook, DuPage, Kane, Will, Kendall and Surrounding Areas. At The Divorce Financial Group, LLC, we understand that concerns about money and other financial issues affect nearly everyone. Such concerns, however, often become even more pressing for those who are preparing for or going through a divorce. Our team of financial professionals—which includes a Certified Divorce Financial Analyst (CDFA™) —realizes that disagreements regarding money are among the most common factors that contribute to the breakdown of many marriages. 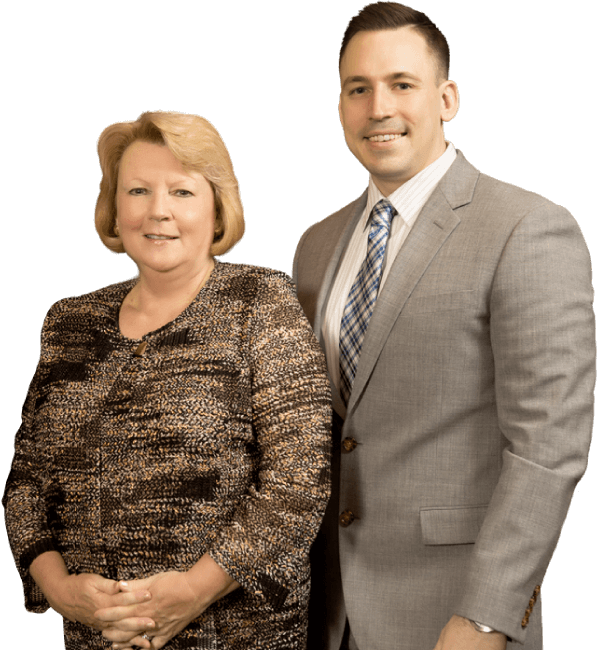 We address the financial aspects of a divorce in an objective, professional, and timely manner by providing knowledgeable divorce financial planning, consulting, education, and analysis. There are a wide variety of complicated financial decisions that will need to be made before, during, and after your divorce. At our firm, we serve clients facing all types of divorce situations, including uncontested, amicable divorces as well as highly contentious litigated divorces. We will work closely with you and your divorce attorney to help you navigate the complexities of divorce while planning for the future you deserve. Our experienced team can assist you in creating a budget for the divorce process, as well as analyzing one or both spouses' marital and non-marital assets and debts. We can also help you prepare financial documents that your attorney will need as the proceedings get underway. We provide guidance with managing debt, financial goal setting, retirement planning, and insurance considerations. Once your divorce is finalized, we work with you to offer a full range of investment, financial, and wealth management services. With more than 30 years of experience, we can help you reach your long-term goals. At The Divorce Financial Group, LLC, our skilled CDFA™ and her team are equipped to conduct an in-depth analysis of your financial situation as you prepare for your divorce. Transitioning from a joint household and shared expenses to a new, independent reality can be challenging, but we can help you be prepared. We can assist you in identifying all of your income, expenses, and possible liabilities so that you can present an accurate accounting to your attorney and the court. Depending on your situation, you may eventually receive maintenance or child support from your spouse, or you may be required to make such payments. We can help you incorporate these types of payments into your budget both while your divorce is ongoing and after it is finalized. It is understandable to wonder how your divorce will affect your credit. While the divorce itself does not have a direct impact on your credit rating, there are several factors that could contribute to missed payments and delinquent accounts. Our CDFA™ can help you review your finances, including all of your credit-based obligations. We will assist you in creating strategies for paying off high-interest credit cards and reorganizing your outstanding obligations. Our team can also help you protect yourself in the years that follow your divorce. This is especially important if your post-divorce budget relies on maintenance or child support payments. If your ex-spouse were to suffer a fatal accident, contract an illness, or otherwise become unable to work, your well-being could be threatened as well. At The Divorce Financial Group, LLC, we understand how to utilize the appropriate vehicle for your situation. Denise M. Baranowski is a Certified Divorce Financial Analyst (CDFA™) and the founder and President/CEO of The Divorce Financial Group, LLC. She has more than 30 years of experience working with divorcing and divorced clients. Her experience includes paralegal work for several international law firms, as well as senior financial advisor roles with global investment management and trust companies in Chicago and on Wall Street in New York City. She and her team are committed to providing first class financial services to clients throughout the Northern Illinois region.